Not very long ago at all, all a host needed to do to make a guest happy was offer a clean bed. But now, with a scene that’s becoming more and more professionalised and millions of people using various lodging portals like Airbnb and Booking.com, hosts need to have something unique that sets them apart from their competitors. Every accommodation is supposed to become an experience. More than anything else apart from good facilities and attention to detail, Smart Home devices offer a great opportunity to make your accommodation appear comfortable, convenient, and contemporary. As host, it’s best to rely on a few devices that your guests will get much use out of, and preferably even make it easier to manage the accommodation. The advantage that smart TVs have over “normal” television sets is the ability to connect to the Internet, which amongst other things enables the use of apps and streaming services such as Amazon Prime and Netflix. For the guest, it can really help create a sense of home if their current favourite TV series is available at their holiday destination. Sooner or later, every host starts to worry about handing over the keys. 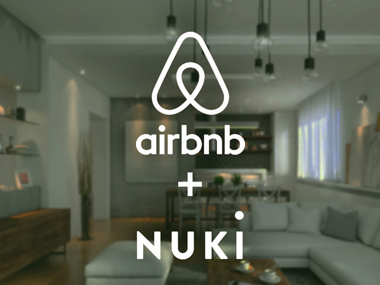 In addition to classic methods like hiding keys or using a key safe, smart locks (such as the Nuki Smart Lock) offer a secure, intelligent option for giving your guests access to your accommodation. The guest’s smartphone serves as the key, and the host can check a log to see every time the lock is engaged or disengaged. Video intercom systems, such as the Ring Doorbell Pro, provide the host with an additional level of security. Live video footage allows you, the host, to see who’s at your door, and just like with a classic two-way intercom, speak with your guest at the same time. Ideally, it’s good to have a video doorbell working in combination with a smart lock. That way you can see who’s at your accommodation, and you can also unlock the door from anywhere. If you want people to feel comfortable in an accommodation, then the place needs to be kept at a pleasant temperature. A smart thermostat can really make things a lot easier for you as host, since it allows you to control the air conditioning or heating system with your smartphone. Perhaps the most popular device of this kind is the Nest Learning Thermostat. Not only is it easy to use – it will also save you money. An Amazon Echo Dot or a Google Home Mini has become quite affordable to purchase, and will give your accommodation a modern, stylish feel. Guests can ask Alexa or Google Assistant about nearby restaurants, inquire about the weather, or listen to their own favourite music. While they’re not exactly your classic Smart Home device, universal chargers for smartphones and tablets will make your guests’ stay a whole lot easier, and they’re reasonably inexpensive too. Who hasn’t gone on a trip and left their charger at home? These little devices can have a big impact on your guests. This is part 2 of our 4-part blog series « Smart Rental ». Our next article will be coming soon. 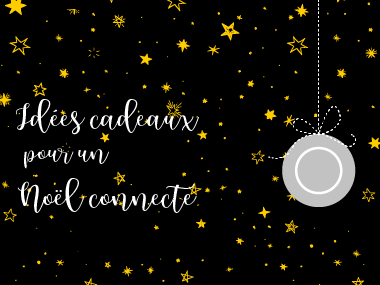 Des cadeaux WAOUH pour Noël! Est-ce que ma serrure est compatible? Où puis-je acheter Nuki ? J'ai lu la politique de confidentialité et j'accepte de recevoir des courriels de communication jusqu'à nouvel ordre. Nous savons d’expérience qu’il peut y avoir des incertitudes concernant les serrures électroniques et que nous ne pouvons pas tous être experts. Si vous avez des questions liées à Nuki, vous pouvez également nous atteindre par téléphone du lundi au vendredi de 8h00-20h00 (CET) et le samedi de 10h00-16h00 (CET). Enregistrez-vous à notre newsletter et profitez de 10% de réduction sur votre première commande...et restez à l'affût de nos dernières actualités ! Email J'ai lu la politique de confidentialité et j'accepte de recevoir des courriels de communication jusqu'à nouvel ordre.